I LOVE chai tea. Whenever we go out for coffee the iced chai tea latte is my go-to. No matter how big or small of a drink I get it's usually (embarrassingly so) gone within about five minutes- I have no restraint or willpower whatsoever. The chai flavoring tends to be created with a mix of four spices: ground ginger, cloves, cinnamon, and cardamom. Some people might like their chai heavier with one spice than another but I like to keep my measuring simple and do equal parts. Directions: In a large bowl cream together butter and sugar until fluffy. Beat in egg and vanilla. In a separate bowl combine cake flour, baking powder, salt, ground ginger, cloves, cinnamon, cardamom and pepper and mix well. Gradually add the dry mixture to the creamed mixture alternating with milk- beat well after each addition. Fill paper-lined muffin cups two-thirds full. Bake at 350' for 20-25 minutes or until a toothpick inserted into center comes out clean. Cool for a few minutes in muffin tin before removing to a wire rack and cooling completely. For frosting in a large bowl beat butter by itself for a couple minutes then add powdered sugar at a cup at a time on the lowest speed. Once sugar has mixed with the butter turn mixer back to medium and add the salt ground cinnamon, vanilla and milk. Beat for 3 minutes. Frost cupcakes once they are completely cooled. Recipe makes between a dozen and a dozen and half cupcakes. Saw this from the Pin It party. I love chai tea latte so I think I would love these. Looks real yummy. Pinning this! Oh yes, if you love chai tea lattes you WILL loves these! Thanks for the pin! Thanks for the invite! Heading there now! I will HAVE to try these! I love Chai spiced anything. I have made cookies and granola with those spices and loved them! This recipe has been added to my list! 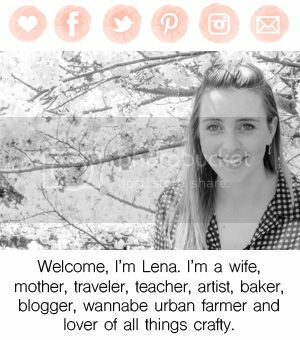 So glad I found your cute blog! I LOVE Chai! Really love Chai! I can't wait to try these! Let me know what you think when you do! And thanks for following! I hope you enjoy your self around these parts! Heading over to your party now! Lovely cupcakes - I can almost smell them from here - in Melbourne, Australia! I am an unashamed cardamom addict so would be very tempted to tip the balance the balance of spices that way. I love chai and you've just reminded me that I have a packet of chai mix in the pantry. It's a gloomy rainy day here so a cup of chai in front of the fire sounds perfect! Found you via the Do Something Crafty link up. We'll we're kinda neighbors since I'm in Yokosuka, Japan currently! :) Okay so that's a stretch... but closer than typical when I'm living in Seattle. I've been to Melbourne once while in transit from Herron Island back to Manly! Thanks for stopping by! 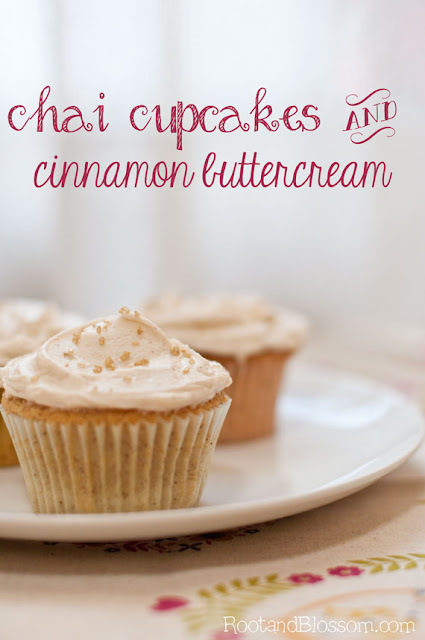 Enjoy the cardamom heavy chai cupcakes! I bet they'll be wonderful! Oh my word, these look amazing! I am going to pin this right now and try your recipe as soon as I can! YUM! Best wishes and hope you are having a great week.